Also known as vertical sleeve gastrectomy, gastric sleeve surgery is a surgical procedure that reduces the size of the stomach by 85%. During the surgery, a section of the stomach is removed leaving a thin tube-shaped stomach. Because the stomach is so much smaller, the patient will feel full faster and consume less food leading to weight loss. Before surgery, patients must prepare their body for the procedure. At least two weeks before gastric sleeve, food restrictions are made. This diet prepares the digestive tract and the liver for the procedure. This pre-surgery diet also helps prepare the body for the lifestyle changes it will experience following surgery. Snack foods such as tortilla chips, potato chips, and other salty snacks. Here are more in-depth foods to avoid after gastric sleeve surgey. Some commonly consumed foods before and after gastric sleeve surgery include scrambled eggs (egg whites only), oatmeal, yogurt, low-fat cottage cheese, lean meat, fresh fruits and vegetables, sugar-free Jell-O, whole grains and protein shakes. Protein is a major component of the post gastric sleeve diet and helps the body to fat burn while on a low-fat diet. For gastric sleeve patients, protein shakes or protein-rich foods should be consumed at the right time in order to prevent blockages from occurring. Drink a lot of water in order to digest properly, however never drink water while eating as you will feel full fast and not consume enough nutrition. Begin choosing low-fat foods and eating at home. Practice drinking water and other fluid between meals only and try to consume at least 64 ounces of water daily. Practice sipping liquids as you will not be able to drink a lot at one time. Start decreasing portion sizes and eating 3 meals a day (do not skip breakfast). Practice chewing food thoroughly and eating slowly as you will be learning how much food you can safely consume with your new stomach size. Prepare your vitamin and mineral supplement schedule. Also, purchase all of the safe foods for post-gastric sleeve surgery and all protein drinks or shakes. There are four stages of the post-operative gastric sleeve diet: clear liquid, full liquid, soft foods, and regular foods. During this time all sugary drinks, caffeinated drinks or carbonated drinks should be avoided. Patients can drink water, ice chips, flavored water, broth, Propel, 100% Whey Protein Isolate Bullets, skim milk, sugar-free Jell-O or Popsicles, mild tea, just to name a few. Patients will focus on consuming more protein during this phase. Some approved full liquids are soy beverages, fruit juices without pulp, low sugar, plain sugar-free gelatin, creamed or chunky soup blended, drinkable yogurt without fruit chunks, ice milk, sugar-free popsicles, blended fruit smoothies, low-carb shakes, applesauce, and protein shakes. It’s important to note this is just some of the foods you can consume during this phase. This phase focuses on transitioning from liquids to soft foods. Patients should consume 60-70 grams of proteins while making sure to minimize the amount of sugar, fat, and carbs consumed. Fat intake should be less than 30 grams a day and carbohydrates no more than 40 grams daily. The goal of this phase is to eat a low-sugar, low-fat, low carb and high protein diet. While the body has healed considerably at this point, it’s important you still do not eat many foods that are hard to digest or aren’t nutrition based. I had Gastric Sleeve surgery March 24, 2017 – and have successfully gone through all the 4 stages post-op that included introducing just liquids – protein shakes, then creamy soups, then trying to add some cut up and diced foods to add into liquids, one new food at a time. But for the past week – every single little piece of solid food I try to add gets me sick, makes me vomit and have extreme chest pains – feeling like I am going to have a heart attack until I can vomit up every piece of food that was not tolerated. I lost almost half of the weight I hoped to lose – which I am happy about. But I have real concerns about moving forward. Since every single time I try to introduce any small portions of solid food (tomorrow marks day 40 post-op) I remember it may get me sick – so I feel like I will be on liquid foods for the rest of my life. And I have fears that this vomiting (that has now become common) might damage the successful sleeve surgery. I am doing my best to squeeze in as much protein first. I am afraid of what this all means as some other patients have successfully moved on to the solid food transition. I do realize this process is different for every person – I just want some hope that I will graduate to the next phase and start living my life from here, eating real food and being able to dine with others – without fear I am going to get violently ill (like I have the last couple of days). Please let me know your thoughts as I feel like I will never move past this. Is it normal for some patients to have to wait 6,7, 8 weeks from their Sleeve procedure to be able to tolerate solid foods? I don’t want my non-tolerating foods resulting in coughing up what I have attempted to eat to damage/stretch the sleeve; reverse the repair of my hiatal surgery during my procedure; and add to other ailments like hair loss, etc. from not being able to keep anything but liquids down. What is the percentage of Sleeve patients that go through what I am describing – and can’t go on to solid foods for way past day 40? I went and saw a surgeon yesterday and he said that they don’t even do the Lap Band anymore, because of complications between the 4 and 10 year point. He stated they have a high rate of body rejection and high percentage have to be removed. I was shocked because the Lap Band was still on their website. My wife said maybe that do that to draw you in. I had the Lapband procedure May 2007 and had it removed April 2013 after my band slipped due to unknown reasons. I strongly advise against the band after nearly dying from slippage. Very scary situation. I had the LAP Band put in 10 years ago. In the beginning I lost weight only to put it back and more. I’m having it removed and going for the sleeve. Look into it before you choose the LAP Band. My doctor doesn’t even do them anymore. I just had my lapband taken out 2 weeks ago after 13 years. Do gastric sleeve instead. Many Drs don’t do the band anymore. Too many problems. I had a gastric band for 5 years, I lost 9 stone- but it was hell and made me ill everyday, i had to have it respositioned under surgery when it slipped and then a year later my entire stomach prolapsed through the band and i had to have the band removed as an emergency. I was very lucky that a family member paid for me to have a gastric sleeve, I am now 6 weeks after surgery and its a dream in comparison to the band, I can eat healthy fibrous foods and i fill up quickly and I’ve already lost 2.5stones! With the band i was restricted to sugary slip foods as it was so restricting and i suffered malnutrition and dehydration. Just had my lap bad removed. I experienced chronic reflux and heartburn. I was very miserable. I hope you have better luck! Getting the sleeve in a few weeks. I had lap-band done in 2011. Getting ready to have it removed. Had all fluid out 3 years ago due to developing severe esophagitis. I’d go with a different choice if I had to do it over again. I had surgery on April 3,2017. I followed all recommendation before surgery and post-op. Now I am adding solid food to my diet in very small quantity. I take a small piece and chew it till it becomes like paste and swallow it. I don’t take another piece till I swallow the previous one. This helps me to avoid overeating or vomiting. I just had sleeve and I was told 4 weeks liquid 4 weeks puree and 4 weeks that u can mash with a fork than u can eat solid. Maybe u just need to give it more time. I just started my 4th month and I have the same problem. Just understand everyone’s body is different and what others can handle you might not be able too. I’m down 73lbs and certain foods still make me vomit but not as much as 2 months ago. I fear the same thing but just take it day by day. Trust me your not alone. Hi! I am 9 weeks post op and I just started introducing foods. I was in the same boat as you so I just extended my time with thick liquids and puréed food. Your body knows best and will let you know when to move forward. Keep your head up! You will be eating “real food” soon and also will be able to eat with friends! Good Luck!!!! to 20 or 30 before swallowing.. I’ve only had two throw up experiences and one was trying to eat a hamburger pattie loose ground-meat was OK, second was the bariatric multiple vitamin, way too strong of a flavor. I noticed things what are very high in flavor would nauseate me.. I HATE throwing up, so i would back off from items like that. Best I can tell you is to eat really slowly, put your fork down between bites, chew chew chew 20/30 times and in very small bites. You will find some foods you loved before you hate now or it nauseates you. Give it time, 2/3 months down the road try it again.. I only added one meat at a time once solids were allowed. If I tolerated it for a week or two, then I’d add another meat. Take is slowly, why rush, I found I had to continue the yogurt and protein drinks a bit longer while slowly adding meats.. I now eat any meat I want, but still moderately in the size bit, how long i chew it and eating slowly.. make the meal last at least 20 minutes, no less.. Drink your water as often as you can, never with meals. Lot of people with this surgery say they used to love water but can’t stand it now.. i was the same way as well as couldn’t do cold water had to be room temperature. I would add the water flavorings, but as time went by i used less and less till i was back to plain water and I absolutely crave it now.. Can also drink it cold again, but I will only drink dasani water, don’t like the taste of any other.. I still use very small bowls, still weigh my meat, still use small dessert spoon and forks and i bought a purse like cooler bag and if i go out it’s packed with protein drinks, protein bars, applesauce, fruit, water. I now make my sandwiches with a wheat tortilla, that’s 5 net carbs & 8 g protein (Santa Fe tortilla) because even though i can eat lettuce with no problems, I can’t do the lettuce wrapped sandwiches.. just doesn’t do it for me. but i always bring a cooler of food with me, may not eat it because I’m able to find something i can have in a restaurant or where ever I’m going.. but this way I’m covered if not.. you have to remember this is a tool not a sure thing, it’s up to you to make it work.. the stages they give you are just a time line, everyone is different and you have to take it at your own pace.. back off the meats if need be for a little longer, as long as you are getting your allotted protein and water you’ll be fine.. I had the sleeve done on March 31 of 2017 . Not one problem , but I think you are trying to eat solids too soon . I know of another girl who was having problems and she was eating solids too soon . I did not start solids until 4 months. I have never thrown up but if I do over eat a little too much I will feel uncomfortable. Try baby food for a while longer ,then add the toddler which is more chunks and then you should be okay. I am down 90 lbs so far and feel great . If this keeps up you need to see your dr,.Mentally it is very hard to watch people eat so much and we are so limited. I Still don’t do carbs and sugars actually if I taste them they are bitter to me. Good luck. I would stop trying solid foods for at least a week or so. Sounds like your stomach has not healed enough for solids. Let it heal more then try solids. Don’t worry you will get there! RA, I agree with the others in just really chew your food extremely slow and if 2 minutes isn’t enough between bites take 5 minutes. Hey, whatever works. Plus, another suggestion for eating out; take your meal to go. I always do becacause it is just easier for me. When out I get a cup of coffee and sip slowly and at home I can take out my timer app and eat slowly…always use the timer. Oh, that pain you were describing I get when I eat too fast or have liquids and solids together. Try eating egg whites soft and easy to digest. Mrs. Dash Onion & Herb really adds to the flavor…microwave for 30 seconds ect… I really hope this helps! I had the exact same thing. I am 1yr post Sleeve. Right after my surgery in the weeks to follow anything I would eat or drink I would throw up. Turns out I had a hiadel hernia. Simple surgery fixed this. I had V sleeve on July 2, Eating fast or not chewing enough makes me have slow digestion or reflux. But proper habits needs relax and concentration on meals time… with the time are meant to be the new habits. I am not a health worker but, If I were you i would go to your surgeon and insists on the symptoms you are having. 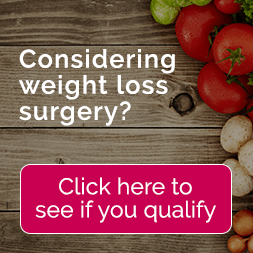 This is a life changing surgery and it is important to solve any inconvenient, so you can enjoy the weight loss, the joy of life and the energy that come back to you; look for a happy process. I actually was sleeved on 5/10/17 and I can’t have solid foods for 7 weeks. First 5 days were clear liquids. Next 10 are now full liquids. I start a soft diet on 5/24 semi regular on 6/7 introducing meats. Like tuna and deliverables meat. I think it may be a tad too soon. But whenever something doesn’t agree just go back to clear liquids to give your stomach a break. Oh don’t forget to set your timer not to drink 30 mins before or after each meal. Also.the app Baritastic has been a life savor. GOOD LUCK!!! I had the gastric sleeve 4/20/2017 and I’m on day 88 post op. So far I’m down 52lbs. I have not had this reaction to introducing solid foods. The only thing that I’ve noticed is that meat feels like it sits heavier in my stomach than veggies do. Other than that no serious problems.I agree with the comment above that you see your doctor. I hope you aren’t having any serious problems. Hang in there, I hope you get better. Through my weight loss programs support group I go to, they did say meat will sit heavy, is it uncomfortable? I love my meat! Of course I just had surgery so I can’t eat anything for another 3 weeks. i just had the sleeve 10/9 2017 i found that i couldnt do all the sweet protein drinks. i slowly started eating a little bit early. my dr. scolded me, even tho i dont eat reg foods every day. now im back to the soft diet with chicken and shrimp. im always scared i wont get enough protein in. I had sleeve surgery March 2017 and have loss 90lbs. I use to weigh 250. I still have 2 protein drinks each day and three small meals. And of course water. The biggest problem I have is how to plan different meals for breakfast, lunch and dinner and need help. I also crave sweets. Any suggestions!!!! I had my sleeve Oct. 24, 2017, and my doc is allowing me 2 weeks liquids, 2 weeks purée/soft foods and then I can introduce regular food. I am sooo ready for food, I am so tired of broth, but reading these blogs makes me a little nervous about starting foods. Good luck to everyone on here!! We made this sacrifice to better ourselves!! We can do this!! I’m pre op but my surgeon told me not to get upset if I have this reaction as some people have more swelling than others and that can mean longer time until they can eat solid food. It is a very serious surgery and sometimes it takes a long time for the stomach to stop swelling at the surgical site. It could also be aggravated by anxiety in that you are worrying about it. Anxiety itself can cause nausea and vomiting so that doesn’t help. Just talk to your surgeon so he can make sure it’s not anything serious and ease your mind. I am post sleeve 2 weeks and I was told to strictly stay away from and eggs for six weeks. PCP and dietitian said they don’t breakdown enough to be gentle on your stomach. I just had the sleeve done 2/8/18 and I’m still on clear liquids but I feel starving and tempted to eat just even a slice of cold cuts,ham , I’m trying to keep busy but it’s hard it’s not working. I had roux n y in 2010, now in 2018…I can ONLY eat chocolate/ANYTHING sweet, Cheetos, cheese and crackers( @3), yogart, sciracha (on cheese and chips) and I drink @ 5 sodas a day. This has been almost 2 years of this. Blood work is immaculate, bariatric swallow showed nothing, colonoscopy only had pre-cancer polp, many endoscopic tummy checks…if I take ONE bite of a salad, I get sick! Salad is my favorite! One bite of fruit, it comes up! If I DRINK WATER, I vomit anything I ate with it up! Lost 150lbs from 2010 to 2015, then lost 150lbs from 2015 to 4/11/18!! What gives? And they started me on soft food such as broth, Cottage cheese, egg whites, refried beans and Puréed meats before I left the hospital. Sometimes it’s hard to take in food because I get full fast. I use a toddler spoon and plate set when I eat. I go to see my surgeon this week. The only complaint I have is acid reflex.